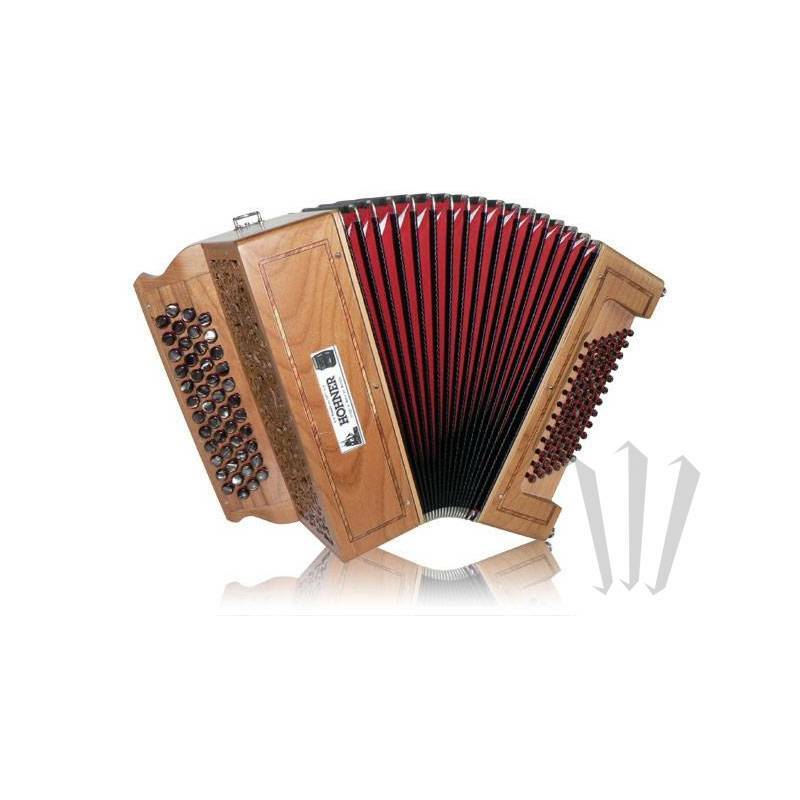 Versatile, lightweight, compact, and low priced study chromatic button accordion. It has 48 buttons, 2 voices, 4 rows (5th optional) on the right hand, and 4 voices, 72 bass on the left hand. 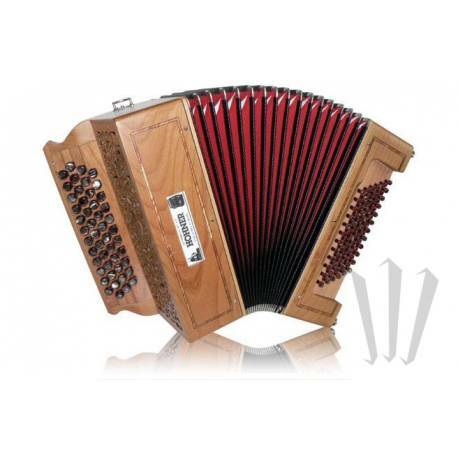 Designed for traditional folk and world music.